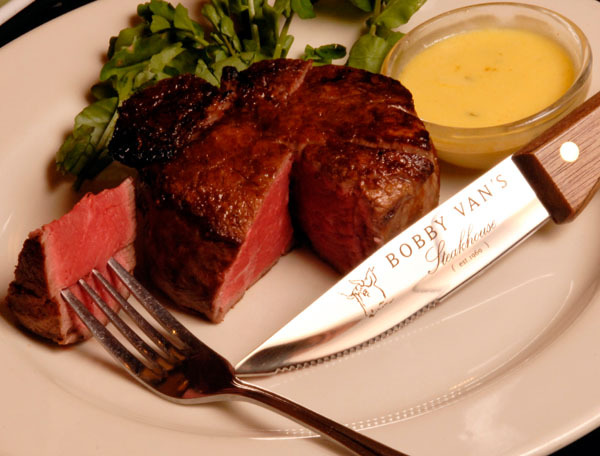 Established in 1969, Bobby Van’s Steakhouse has become a staple of New York City dining. Founded on the principles of quality food and superior customer service, Bobby Van’s maintains the same high standards more than four decades later. 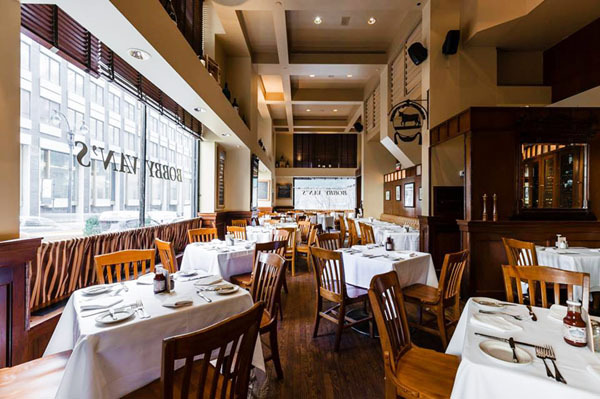 Bobby Van’s Steakhouse has grown to include ten restaurants across New York City, Washington D.C. and the Hamptons, as well as a takeout burger joint called BV’s Burger. The friendly staff, warm décor and prime selection of steaks, chops and seafood at Bobby Van’s create a true New York steakhouse experience. Known for its classic steakhouse fare, Bobby Van’s serves a variety of steak dishes including the traditional Porterhouse Steak (a premium cut of beef that can be shared between 2-4 people) and its signature Filet Mignon (a prime, tender cut of beef with exceptional taste and texture), as well as fresh seafood options such as Chilean Sea Bass (prepared with Miso & Tamari glaze and served with asparagus, Bok Choy and Shitake mushrooms in a white truffle fish broth). Each of Bobby Van’s five New York City locations offers a unique experience for Bobby Van’s customers, while upholding the superior qualities that make Bobby Van’s Steakhouse a New York icon. Since opening its doors in 1996, Bobby Van’s Steakhouse on Park Avenue has become known as “the original” Bobby Van’s in New York City. Housed within the landmark Helmsley Building, the venue boasts scenic views of iconic Park Avenue. With its elegant menu options, award-winning wine list and refined décor, Bobby Van’s Steakhouse on Park Avenue attracts guests looking for a luxury dining experience.